Cream Puff Kids – A Delightful Vintage Mini Cream Puff Recipe – Skill Level EASY | Bake This Cake! I have a suggestion: Lead the kids (or your buddies) to the stove and gently hand them a wooden spoon. Speak these words: “Now stir!” haha! 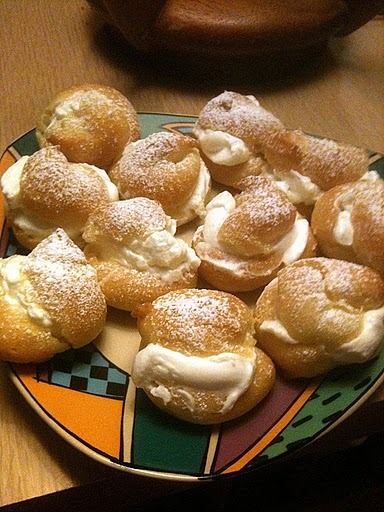 ‘Cause it’s time to party with yummy cream puffs! It’s fun, it’s easy, it brings a lovely vintage recipe back to life…and, best of all, it brings family and friends together in the kitchen for some yummie old-fashioned baking time. With a parent standing by to assist for stove and oven work, this is old-fashioned cream puff recipe is a brilliant way to introduce young ones to the wonderful world of baking. You can also introduce yourself to this recipe if you’re a kid at heart (and I think we all have THAT going for us, right?). 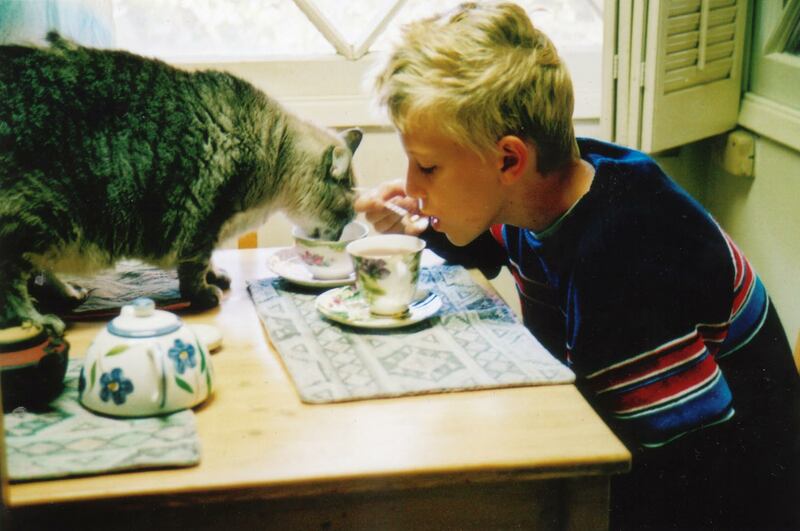 The results are delectable and you will be ever-so-proud of your tasty accomplishment. This is an abbreviated version of our somewhat involved (but spectacular) Marco Polo Cake recipe with kids in mind. It’s also perfect as an elegant looking yet easy vintage dessert project. This recipe makes about 30 golf-ball-sized mini cream puffs filled with sweetened whipped cream and lightly sprinkled with powdered sugar. 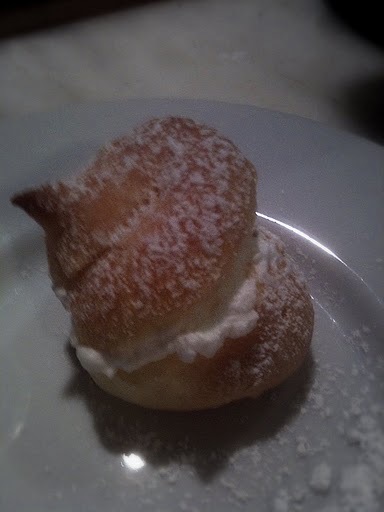 The cream puff dough is made by simply stirring dough on the stove, cracking eggs into it, one at a time, and stirring some more. 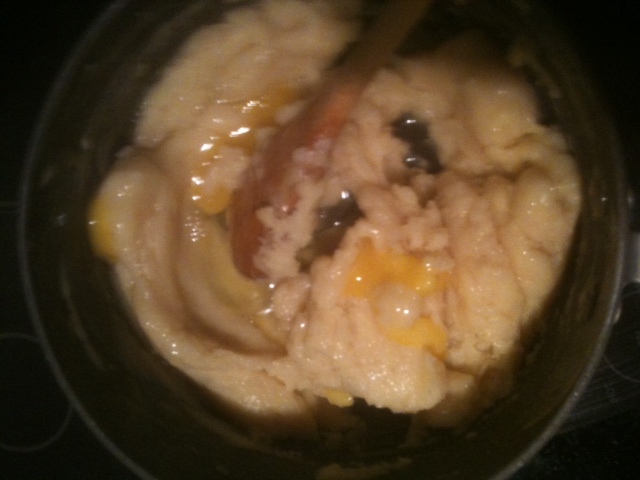 Using a cookie scooper (or a small ice cream scooper or a tablespoon — or squeezed out from a piping bag or gallon-size plastic bag with the corner snipped away), the batter is placed in round globs on a baking tray. After the puffs have baked and cooled, the kids can shoot them with a can of aerosol whipped cream or have help whipping some fresh sweetened cream for a yummie filling. Consider a Cream Puff Baking Party! A baking party, slumber party event, or just adding a craft to a play date is so much fun! You might want to make a paper pastry bag (called a “cornet”) to use as a side craft project Check out this video that shows you how to make your own paper pastry bag….by clicking here. And be sure everyone has aprons for boys and girls (that can be decorated with their names), since aprons add to the glory of being a cream puff chef. 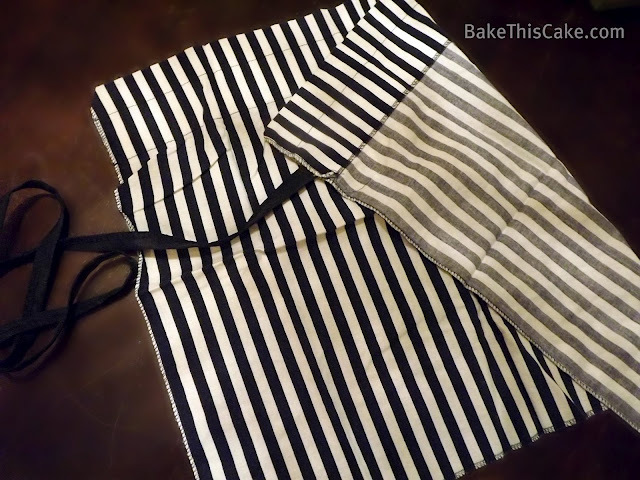 You can also make your own darling aprons, of course, by just running a string through a simple cotton cafe curtain — no sewing required. whoo hoo! Cream Puff Party Tip: They can each go home after the baking party with a simple apron and a gorgeous paper plate filled with cream puffs all wrapped up for a family treat. 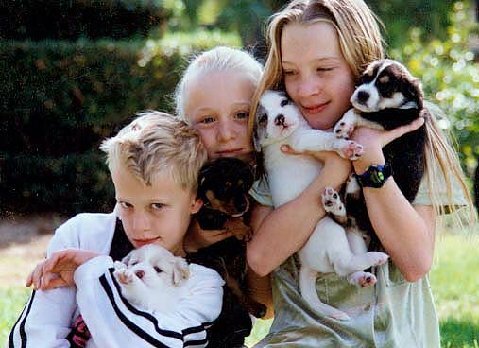 They will be so proud! 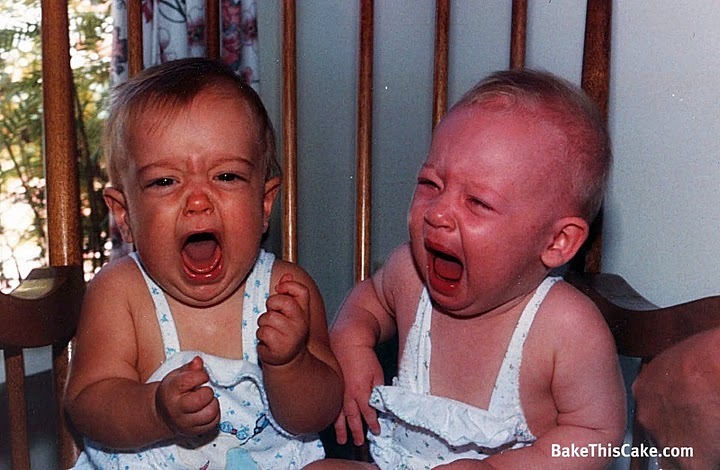 Best of all, they learned a great baking skill that is very versatile. Recipe Note: The “Marco Polo Cake” recipe on our site has been modified in this recipe so as not to require such quick handling. In this recipe, there is a 2-minute stove-top cooking of this batter to substitute for a little faster action required for the Marco Polo Cake. 1. Bag: Optional Piping Bag: Prepare piping bag with largest straight metal tip (although no tip is fine too). You can also use large plastic gallon-sized baggie with the corner tip cut away and results are great. 2. Hot Oven: Set oven rack to center position and preheat oven to 400. 3. Pan:: Line cookie baking sheet (11×17) with parchment paper (or substitute nothing at all – no grease or butter on the pan). 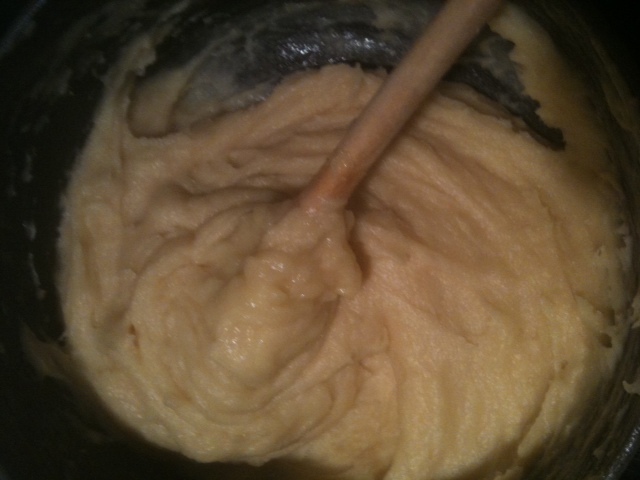 Tip: Final batter will be smooth and thick and glossy with the consistency of a very smooth cookie dough. 9. 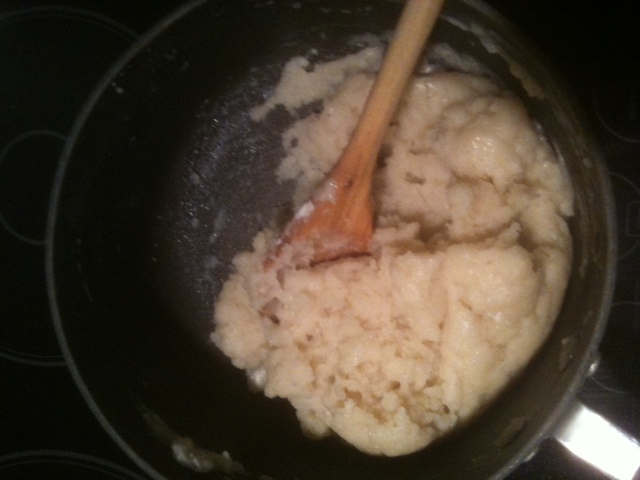 Short heat up: Return the pot to medium heat and stir the batter over the stove for 2 minutes to reduce some of the liquid. 10. Cool down: Let the dough cool a few minutes until it is just warm (and not hot to the touch). Scoop warm dough into prepared piping bag with no tip or very large tip metal straight tip (or heavy baggie with corner cut away). 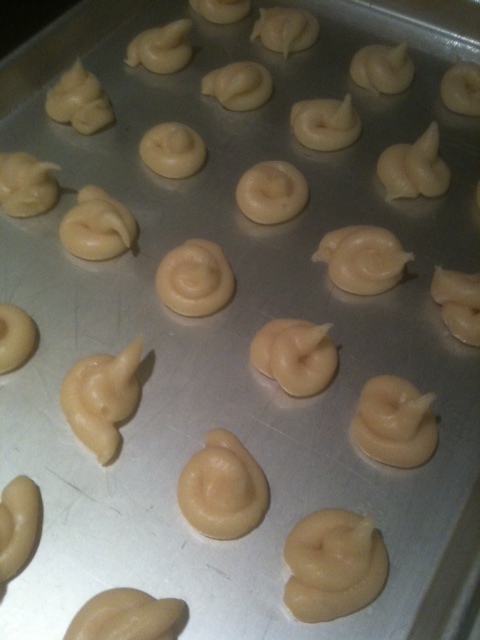 Pipe golf ball-sized swirls (swirling from outer circle to inner top point) onto prepared baking sheet. 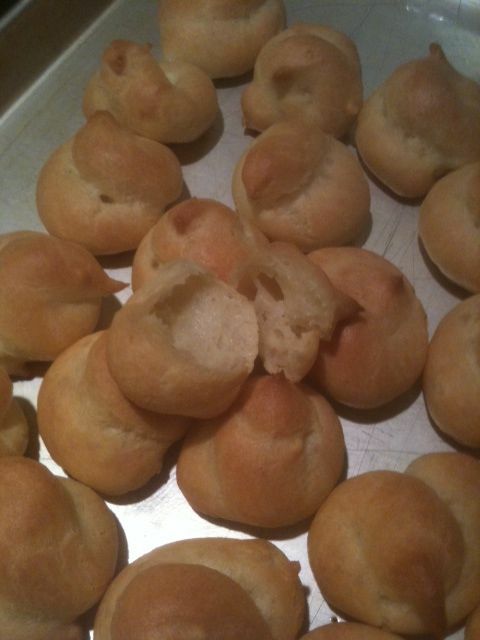 Just scoop up a heaping tablespoon of dough and drop a golf-ball-sized dough ball onto the pan. Wet your fingertips to gently press it into a ball shape. 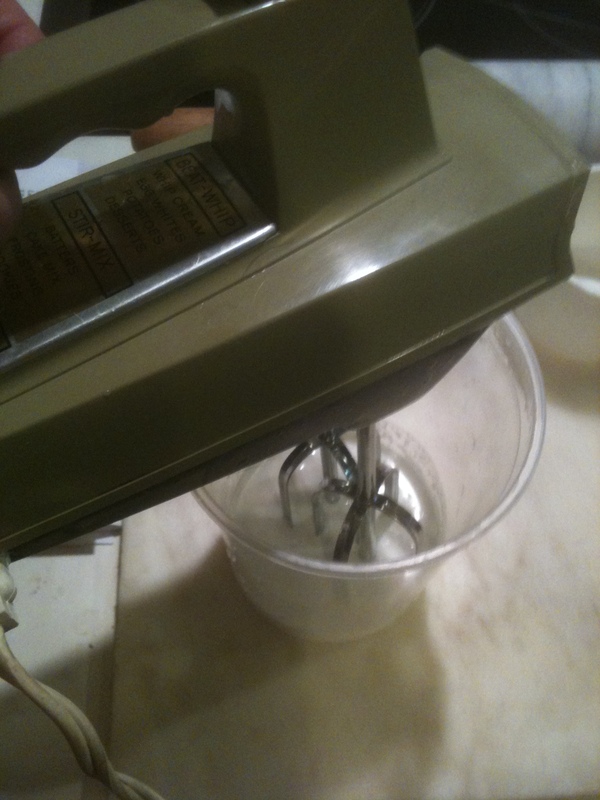 Tip: Greasing the pan causes dough to slide while piping and inhibits puffing action. Tip: Press down any center high points or tips so they won’t scorch. Tip: Since puffs could be smaller and oven temperatures can vary, it is possible that oven temperature may need to be reduced by 10 to 25 degrees. 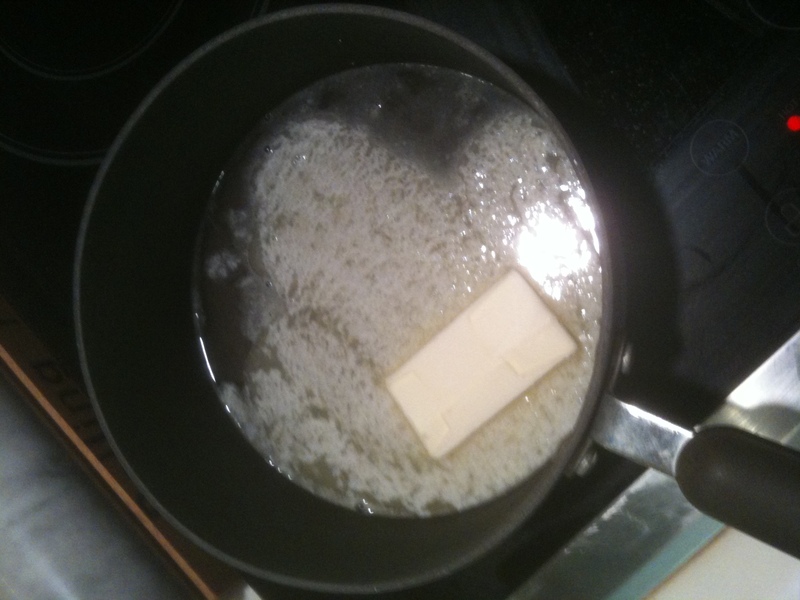 This recipe makes about 30 puffs. If you didn’t fit all 30 puffs on one pan, be sure to cool the pan before you use it for the next batch. 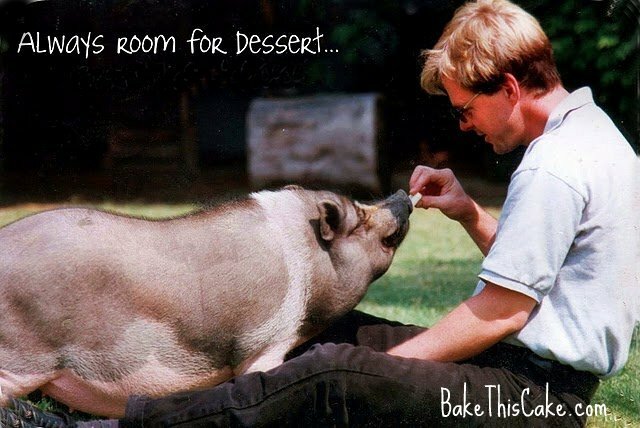 Carefully watch the oven during the final stages of baking to be certain they stay golden and don’t get too dark. 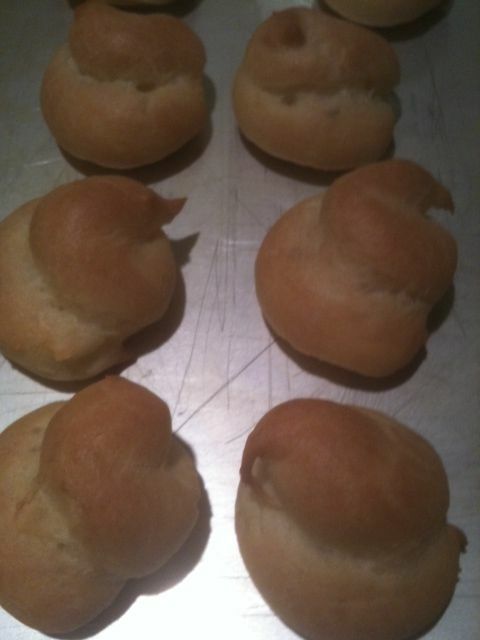 Tip: With the small size of these puffs and the amazing number of times I’ve made these puffs, I do not believe you will have to scoop out any gooey center dough and I trust they will come out fully cooked on the inside and out (though you might want to test your first puff to be certain it is hollow and dry inside). 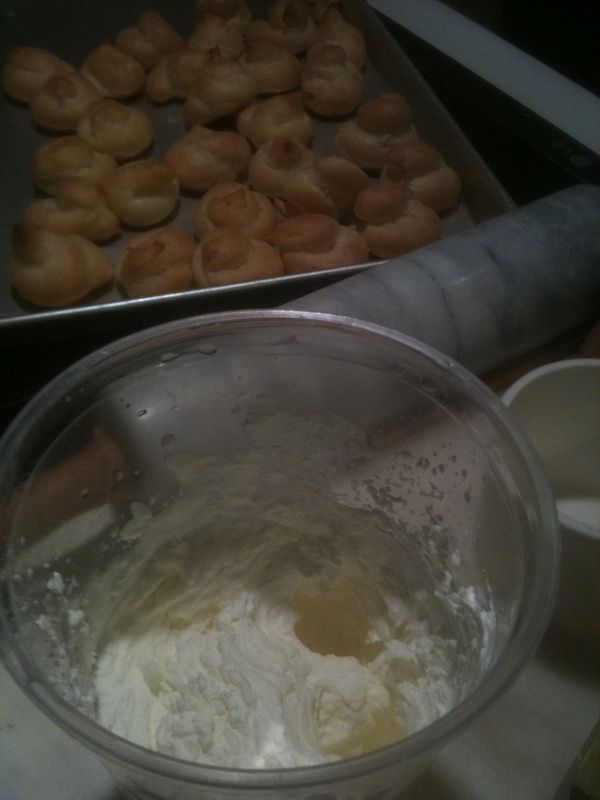 Puffs must be fully cooled before filling with cream. Tip: You can put them in the freezer for 5 minutes for quick cooling. 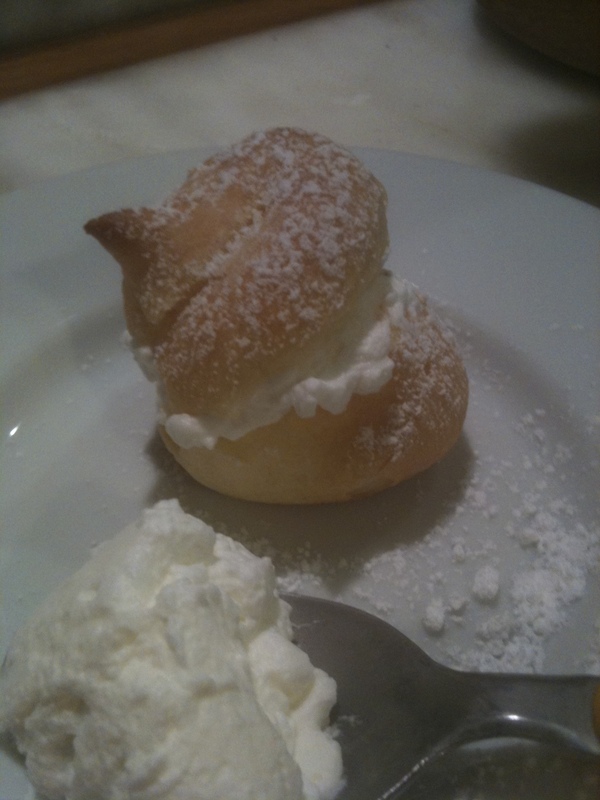 These puffs can be gently broken apart and easily filled with a tablespoon of sweetened heavy whipped cream. You can use an aerosol real whipped cream can to do the job or, better yet, whip up your own sweet whipped cream. 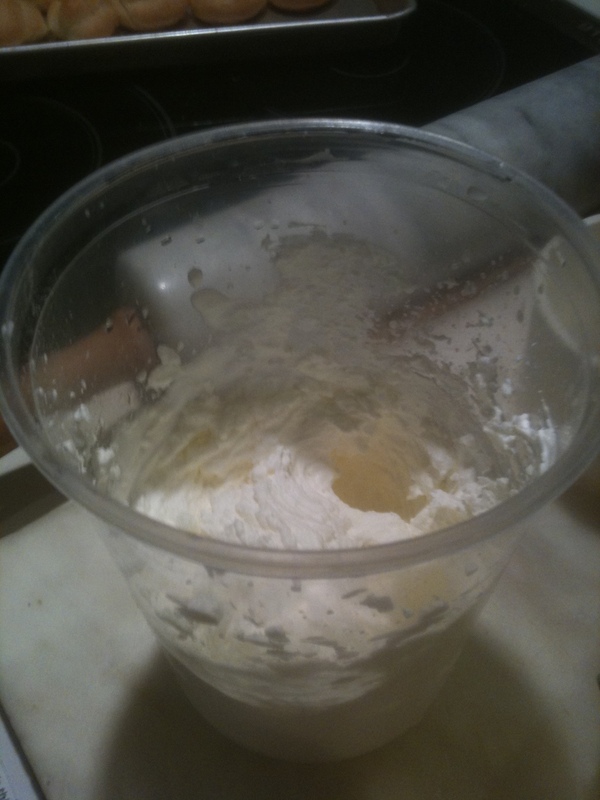 If you want to use refrigerated aerosol real whipped cream, you don’t need tools. 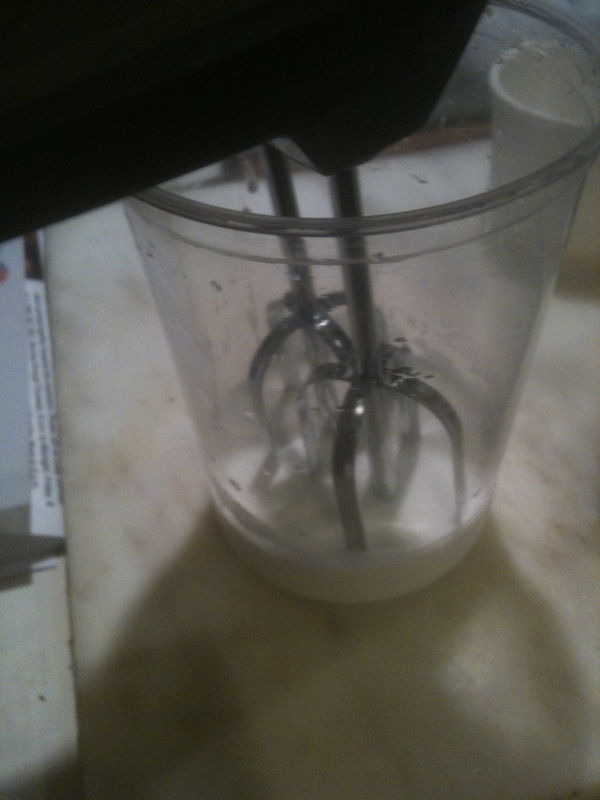 Tip: Generally, whipped cream almost doubles in size when whipped. 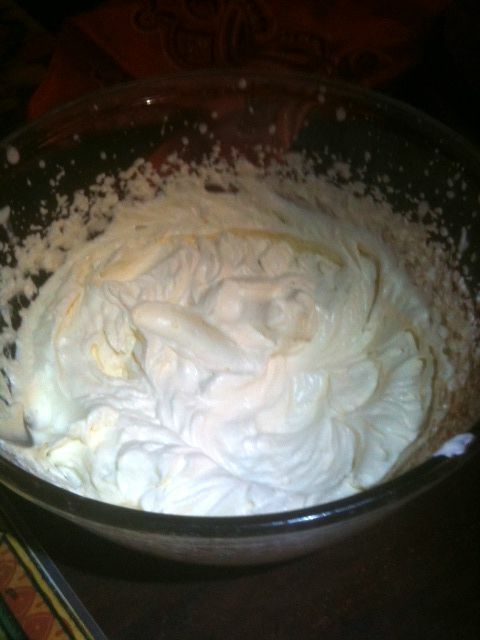 You can also use a regular bowl for whipping cream…Just look out for splatters! Though those are fun too! Start the action by setting up your prep and fill location with the puffs and the cream side by side. Gently break apart each puff and squirt or scoop about 1 tablespoon of whipped cream into the hollow center then place the top back into place, letting cream show in the center. Sprinkle the filled puffs with a little bit of sifted powdered sugar. Place fully loaded puffs on plates or trays and refrigerate them a dozen at a time as you proceed. Serve right away or refrigerate covered with plastic wrap until serving. Tip: The cream in the loaded puffs will cause the puffs to get soggy over time but they seem to hold well for a couple of hours without too much moisture damage. 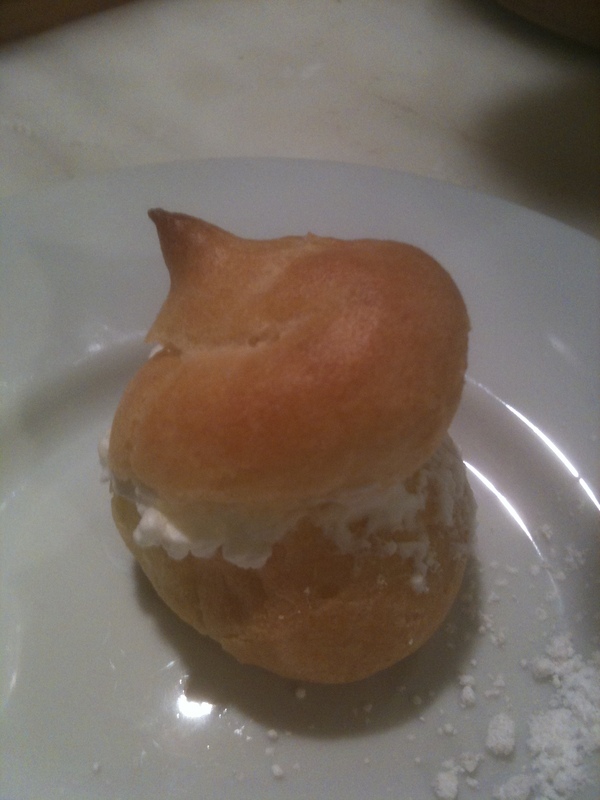 Give yourself a baker’s test puff for good measure! haha! Be sure to follow us on Facebook to see our test cakes and exchange ideas on old-fashioned recipes. Hey! Who’s the jokester messin with my photo op? haha! Attractive blog! 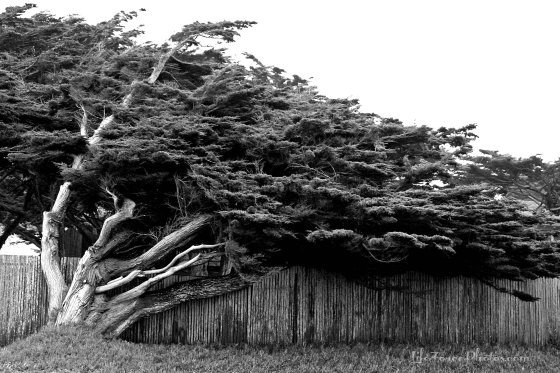 I simply stumbled upon your website and so enjoyed your weblog posts. Anyway I’ll be subscribing, thanks! Normally I don’t read articles on blogs, however I want to say that your writing style has been amazed me. Thanks, quite a great article. I Love this! Thank you so much for sharing on Thursday’s Treasures. I hope you will be back this week. ❤ and Hugs!